Ferrari chief Mattia Binotto has admitted it was "difficult" to order Charles Leclerc to move aside for his Formula 1 team-mate Sebastian Vettel during the Chinese Grand Prix. Leclerc passed Vettel at the start but appeared to be struggling slightly more with his tyres than his four-time world champion team-mate, who he was eventually told to let past and did so at the start of lap 11. "As a team we need to maximise the team points. In that respect I think we did the right choice." Leclerc said immediately after the race he wanted to wait to hear from his team before he commented on the swap. Speaking to media later in the evening, Leclerc said of the early team order: "Obviously being in the car it was a bit frustrating but on the other hand I am well aware that in the car you don't see much of the full picture of the race. "So then I just accepted it, did it, and focused on my race." The result has moved Vettel ahead of Leclerc in the drivers' championship by a single point, but Ferrari's leading man is still 31 behind Mercedes driver, and new points leader, Lewis Hamilton. Leclerc said he was satisfied with Ferrari's reasoning for the team order. "It was not an easy situation," he said. "I was obviously struggling with the tyres. We both were. And at the time it just felt like Seb was quicker. "But obviously being behind me for some laps he obviously damaged his tyres and when he went in front his tyres were probably also damaged." Binotto said that Leclerc's long second stint was primarily to assess the validity of a one-stop strategy, rather than hold up one of the Mercedes as Leclerc had previously suggested. 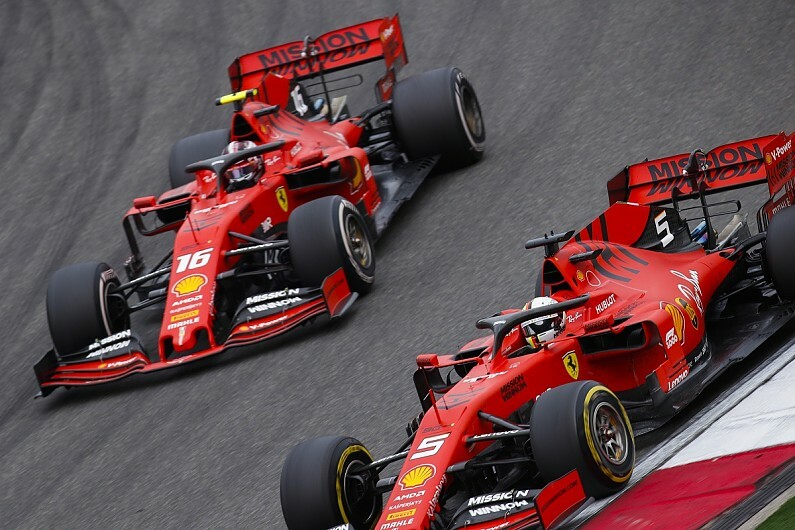 The strategy meant Leclerc slipped behind Red Bull's Max Verstappen into fifth, with Vettel on the podium. On the early team order, Binotto added: "I think what we tried at the time, we tried everything we could not to lose time on the Mercedes ahead and that was the only chance we got at the time. "We tried, it didn't work. It was right to give the chance to Seb. "As a team we did whatever we could." Did Ferrari really maximise its points? 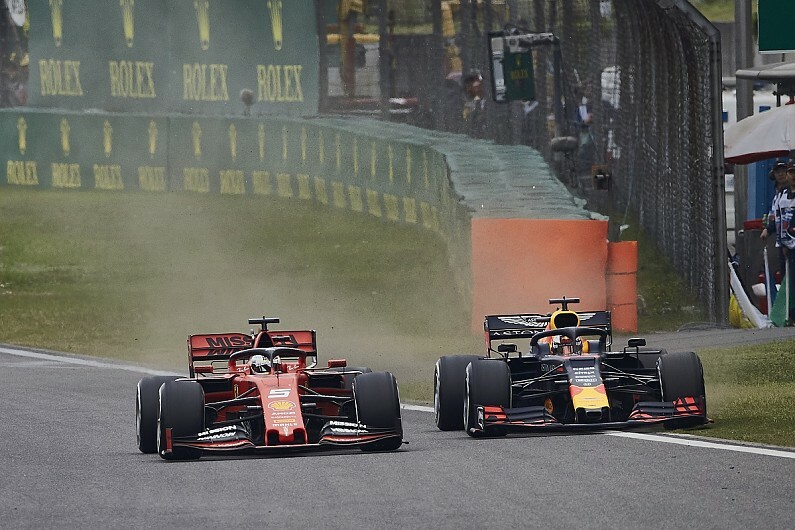 While Ferrari's decision allowed Vettel to finish in third place, Leclerc dropped behind the Red Bull of Max Verstappen. Verstappen was 1.2s behind Leclerc and 2.8s behind Vettel by the time he triggered the first round of pitstops in an attempt to get ahead on fresh tyres. That suggests Ferrari was vulnerable to both its cars being jumped by the Red Bull had Leclerc stayed in front and held Vettel up. However, this assumes that Leclerc would have been much slower, which is not guaranteed considering Vettel made more than one small error once ahead - and swapping positions also cost them time to Verstappen. It is therefore conceivable that Ferrari traded a three-four finish, with Leclerc ahead, for a three-five. As a result, its lead driver is Vettel, 31 points behind Hamilton. Third place for Leclerc would have left him 27 points off the lead - or 30, had he dropped behind Verstappen. The implication is that in trying to "maximise the team points", Ferrari might have cost itself in the short-term. However, if its long-term bet that Vettel is the best candidate for the title pays off, it could be three vital points gained.